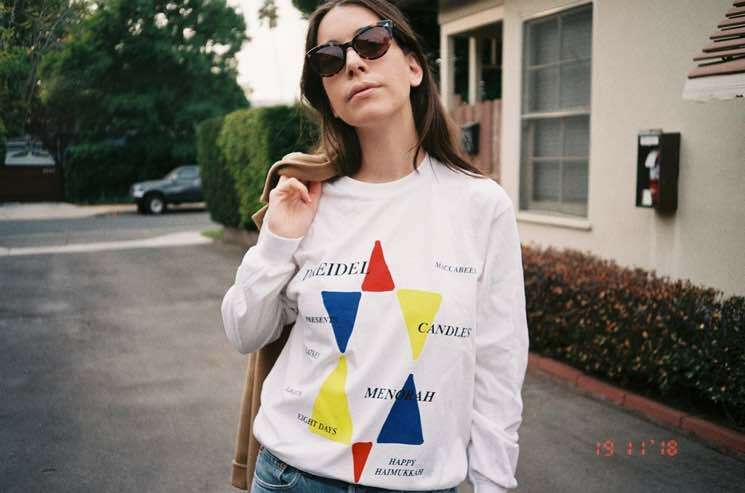 HAIM have unveiled their 2018 holiday merch, and in the spirit of giving, the group will be donating a portion of the proceeds to the Tree of Life Synagogue in Pittsburgh. Specifically, a portion of all sales of the "Haimukkah" shirt will be donated to the synagogue, which was a target of a mass shooting last month. The shirt features a colourful star of David, as well as holiday standards like dreidels, menorahs, latkes and Maccabees. The shirt retails for $35 USD, and can be purchased here via HAIM's webstore. If generic holiday merch is more your thing, there are also "Happy Haimidays" hoodies with festive puppies and kitties. Revisit the band's Hanukkah tune from last year below.